The tango is not unknown in our part of the jazz-world. Especially the late Erling Kroner and the Italian Pablo Russo (living in Denmark) have done their part to promote the tango. Especially the sub-genre Nuevo Tango which was introduced by the great composer Astor Piazzolla. 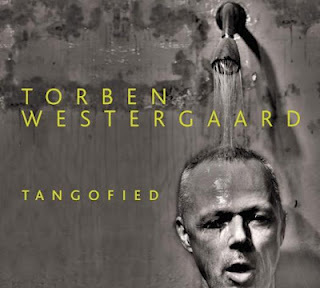 One can choose to go to the motherland of the tango when one wants to do a tango record and that’s exactly what bass player and composer Torben Westergaard did in January. In his suitcase was a series of compositions which was brought to life by five Argentinean musicians playing violin, cello, bandoneón, acoustic guitar and piano. Westergaard was at the bass but mind you an electric one! Piano player Diego Schissi, who was arranger of the music, was also leading the band. musicians. The Nordic genes of Westergaard shine through the compositions while the arrangements show temperament and carry all their feelings on the outside. Very appropriate Torben Westergaard is taking a shower on the cover: Sweat must have sprinkled from him throughout the recording of this album. It’s Nordic tango at a very high level and miles away from the October-project. Also by Westergaard. This recording should prove to all the international listeners what a great piano player Carsten Dahl is. Critics in Norway have already praised this album and the newspapers Dagbladet and Aftenposten both awarded Space is the Place with six stars, which is the highest rank possible. So, are they crazy about Dahl in Norway? No doubt about it! It might be a little help that he is playing with two of the biggest names found in Norwegian jazz. Dahl has resumed work with bass player Arild Andersen with whom he has already created two of the most remarkable albums from the beginning of this century, and at the drums we find living legend Jon Christensen. As well as Jan Garbarek and Keith Jarret, Jon Christensen, established himself at the top of 70’s international jazz, and I guess that’s where he has resided ever since. 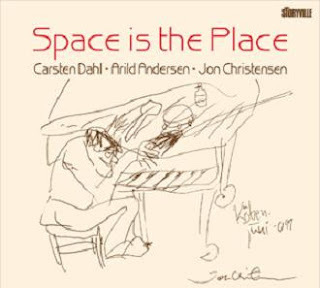 Within the last few years Carsten Dahl has released albums with both solo piano and the free jazz orchestra Experience. This time around he works with a trio of tremendous dimensions. Arrild Andersen and Jon Christensen are veterans in this constellation while Carsten Dahl is merely a young boy. But it doesn’t affect the collaboration. Dahl’s playing is deliberate and very mature in a material based on a series of improvisations. Dahl is leaning towards melodies, though, and doesn’t roam into the universe of free jazz. Dahl has brought us many different places in piano jazz and one should be careful with the comparison to Keith Jarret, but I’ll risk just one of my ears in saying it this one time. The open expressionistic style is based upon the same values. But otherwise it’s large doses of Dahl all the way around, incontrovertibly. This is the third album by a piano trio I recommend (this month). Simon Toldam Trio, The Mighty Mouse and Carsten Dahl all prove that time doesn’t stand still in the trio jazz from Denmark. These three albums mentioned will not pass by as sound shadows on the wallpaper. They want to challenge the listener and take him to every nook and corner in the most jazzy way. This time around it’s obvious. Not only does he compose exciting music, Toldam is also one burly piano player. Once again this talent, who has already received many praises (including his work with Stork) shows that it has new sides to it. This album is recorded during three nights in September at Kind of Blue. An extremely cozy and intimate place in Copenhagen. At Christmas 2010 Toldam began his co-operation with Sekten-drummer Knut Finsrud and bass player Nils Davidsen. It started out as a jam-session but the musicians soon ended up playing a bunch of melodies which Toldam had just written. The trio had its live debut in spring of 2011 and was recorded at autumn that same year. Toldam rolled in own upright piano 500 meters from his apartment into the venue Kind of Blue. “Maybe this is an ending chapter in the music of Simon Toldam and the beginning of something new. Maybe…” Ib Skovgaard writes in his cover notes. 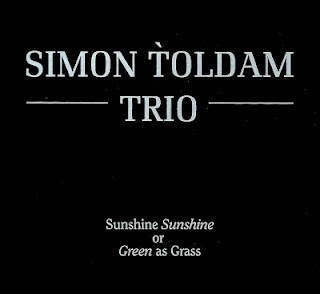 The classical piano trio set-up is new to Toldam in the sense that nothing has been recorded with him in this format, but at the same time there is something unmistakably Toldam in the center of the many jazz clichés. In association with his two musicians Toldam creates a loose and unstructured universe and the trio easily mixes it up with swing of the most excitable kind. 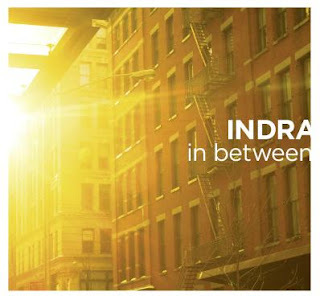 It is a great advantage that the recording of the album was set in such intimate surroundings and the steamy, sweaty mood finds no difficulties in filling out my ordinary living room. It is a strong album Toldam has created. Very recommendable. Review Niels Overgaard. Translation DSI Swinging Europe. I want to start off by saying that I’m sorry for all the weird associations in the text beneath, but perhaps this is what happens when the music is so imaginative. 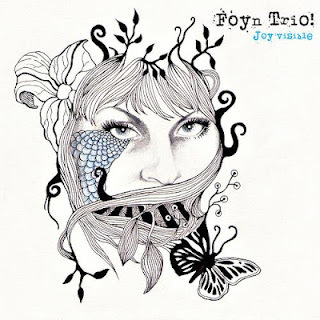 The Danish/ Norwegian trio with piano player Morten Pedersen up front recorded their debut album five years ago in the studio. Since then they have toured the smaller, obscure free jazz venues in Germany and Poland. And among the compositions on this live album we actually find some tunes which were made for the debut. 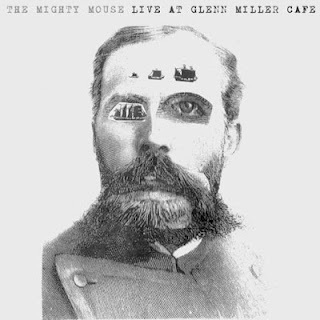 It is kind of funny that Mister-Smooth Swing-King Glen Miller’s name is used for a venue in Stockholm in which the free jazz really thrives, but it is the place where The Mighty Mouse recorded this album in November 2012. Suddenly I think about (how grotesque this must sound) the legendary recording of Jazz at the Pawnshop with some of the bigwig of Swedish jazz, recorded at another venue in Stockholm, Stampen. This record is very famous for its sound. The sound has so many details that you can hear the cash register and things like that. On The Mighty Mouse record you also get more than the music. The noise in the room and the talking of the audience have also found their way down to the turntable (yes, it’s available on vinyl). It suits the music in a way you’re not familiar with in a piano-trio-recording. I experience the music as a bicycle crash without a bicycle. I guess that is the closet you get to far away from The Keith Jarret Trio. Noise and commotion within and around the music. Adam Pultz Melbyes sensitive brutal bass playing. Haakon Berres rattling on the drums and the exploding piano playing from Morten Pederser are striking and obsessive experiences. Live at Glenn Miller Café is one very recommendable album!